Great book purchased it on amazon please write a sequel or something… get writing…. Agreed. I love this sort of genre and thought this story was great. I am eagerly waiting for a follow up. Thanks very much, the sequel will be out soon. Promise. Stumbled upon your books browsing amazon and having an excellent time reading them dont stop writing im a big supporter of the Hellequin series. Thanks very much, I assure you I have no intention of stopping anytime soon. Well, there’s a fair bit of violence and bad language in them and the first book has some sexual scenes (although not many and after that they drop off to almost 0 for book 2). I’d say it would be similar to a 15/18 certificated film in the UK. So if they’re mature enough to be okay with the content then anything over that age should be fine. Recently discovered your books on Amazon. I powered through Crimes Against Magic, Born of Hatred and Infamous Reign in a week, which is huge for me considering I have a 3 1/2 year old and 10 month old constantly in my face. Love your books and can’t wait for the next one! I’m glad you enjoyed them. I’ve got a 9 yr old, a 4 yr old and a 19mth old, so getting time to do anything that involves some quiet time is rare. I bought your books off of Audible and I think so far they are great. Gives me something good to read in between the Dresden Files. Just finished the third book in the Hellequin series, they are brilliant. Very original story line . And excellent characters. Will be recommending these to friends. Will there be more in this series and if so when? Soon I hope. I have all 3 of your books they are awesome. I can’t wait to read and/or listen to the next one! I’m just about to read all of them again, fantastic books Steve! I’m itching for the next one!! Thanks for the kind words. I’m glad you like them. Hopefully I’ll be able to tell you when that is soon. I don’t normally write these kind of things, but wanted to let you know how much I am enjoying your books. I read a lot, and have gone through a lot of dross to be surprised and blown away by these. Your characters have a great depth – even the peripheral ones – and the story is well paced and totally captivating. Really hard to put down. Keep writing. It’s hard to find writers where it is worth waiting for the next installment and you just made my list. Thanks for the very kind words. I’m really glad you’re enjoying the books. I have an hour drive to work so 2 hours total a day. My husband had me download the audio for your Crimes against Magic. Now I hate when my hour is up and have to get out of the car and work! Starting the 2nd book today. Excellent adventure! I’m glad you’re enjoying the books. Thanks for the kind words. Great great great books! I name my MMO characters after Hellequin, because I enjoy him so much. What a great story, what a great protagonist, what a great author. Thanks for creating this amazing story! I have devoured all of your books thru Lies Ripped Open. Please, please tell me when the next installment is due out. I am so thankful to have found this thru Amazon Kindle Unlimited. I love the mix of history with mythology. And the description of Camelot as a real place. Just wantednto let you know that I really enjoyed the 5 main books having ploughed through them in a month. Fantastic mix of multiple mythologies (any plans to include Norse given references to dwarves?) Whilst maintaining a modern feel and riveting pace. Want to learn more abiutbso many other characters which demonstrates an excellence of writing style. So glad you are working on these full time now so the books will be dne even quicker. Keep it up Steve and see you around the West Quay. Thanks for the kind words, glad you’re enjoying the books. Norse dwarves are coming soon. Loving these books so far. I’m about 75% of the way through Lies Ripped Open. Your books and world are great. I cannot wait to read the next one, when it’s out. 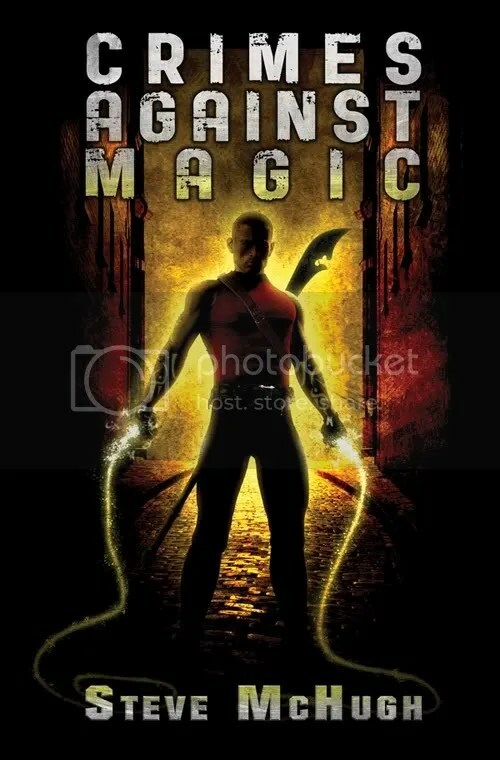 This is the kind of Urban Fantasy that I LOVE reading and would happily read & consume anything you put out there!! I am really loving these. I read a lot of urban fantasy; I love the characters Nate reminds me of a magical James Bond. I can’t wait until the next one. I’m about to read the 5th book in the Hellequin series. The first 4 were excellent. Is the 5th book the last for this series or are you writing more books? The 6th should hopefully be out this year. Hope you like book 5. Glad you enjoyed them! I’m hoping book 6 is this year, my publisher haven’t given me a firm date yet, though. I love your books and will pre-order the next 15 you write!! Please don’t keep your loyal fans waiting for book 7 for too long!! It took me all of 1 month of reading to be completely captivated by your character Nathaniel Garret, and I only want more. Your writing is brilliant, and I hope you become rich within your wildest dreams so you keep writing!! Thanks very much, I’m glad you’re enjoying them. I hope not to keep anyone waiting for book 7 too long, next year I hope. Awesome read. I re-read all five books in anticipation of starting the sixth. Wish I waited for all the books to come out before I started reading. That way I wouldnt have to wait to read them all. I found about your series from fantasy faction. I have finished upto book 5. Love them. I’m from India n thanks to kindle I could get your books. In Amazon I saw a spin off called Avalon chronicles for pre-order. What’s it about?When it’s going to release? I just finished scorched shadows. First: so good!!! But, I’ve read a glimmer of hope and I feel like I’m missing a big chunk of story between the end of one and the beginning of the other. Am I missing a book or novella? Help!! Thanks very much. Glimmer happens before Scorched Shadows. Then it’s Thunder of a war.